Who wouldn't want to have a holiday home on the beach, literally, 'on the beach' with nothing to get in the way of those ocean views. Imagine diving into blue seas or lazing in bed listening to the waves swooshing back and forth on the sands...and, smell that salt air. 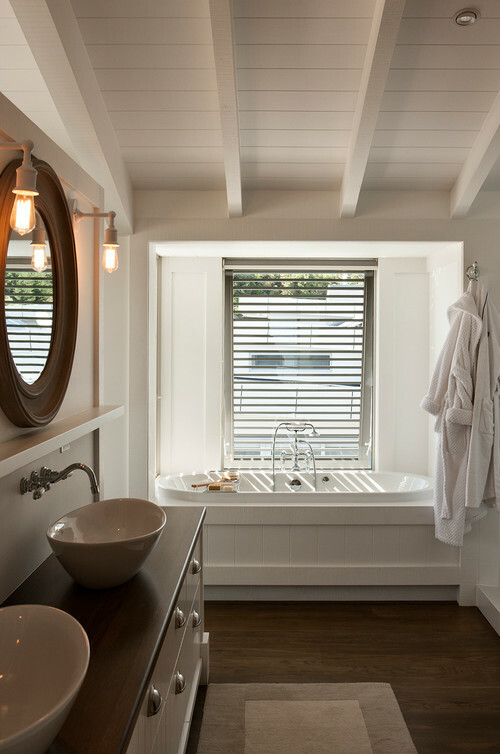 Recently Houzz launched their profile in New Zealand, and since then there has been an influx of gorgeous Kiwi homes featuring on their website. 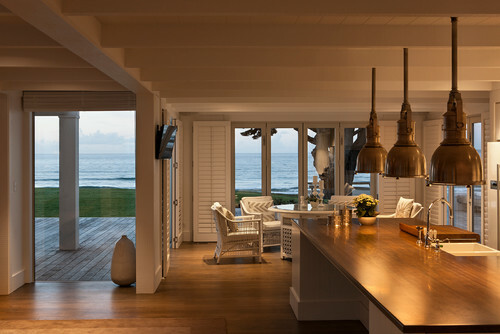 Usually I share images of American homes or further afield but today I wanted to share a New Zealand beach house. This one however, is not your humble Kiwi bach but a stunning beach front beauty that includes its own swimming pool and has the most fabulous indoor/outdoor flow. 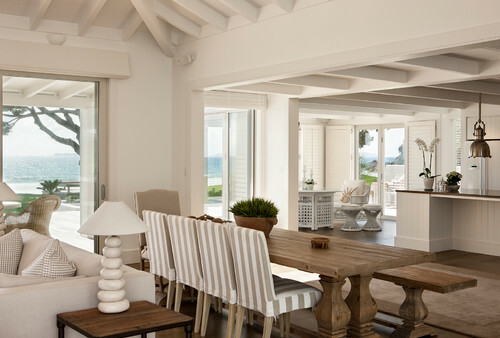 The decor of the beach house has been kept simple but elegant, a mix of contemporary pieces with rustic touches. 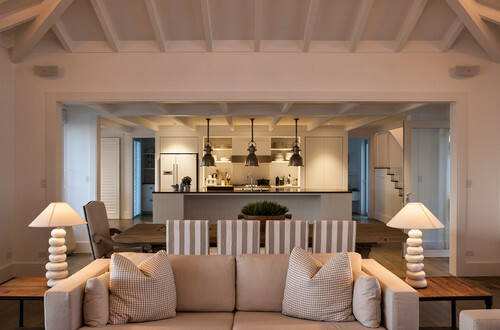 A white background and subtle tones of sandy beige allow this home to blend into its coastal surroundings, keeping it minimalist and fresh is the key to the relaxed look of the interior. Designed by Christian Anderson Architects, this house speaks volumes of the many talented New Zealand architects. 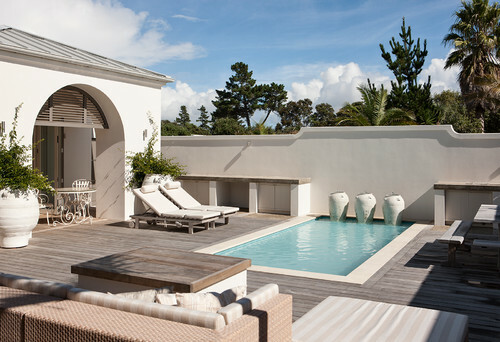 I would say it has a touch of the Hamptons, a little less complicated but still with classic touches. 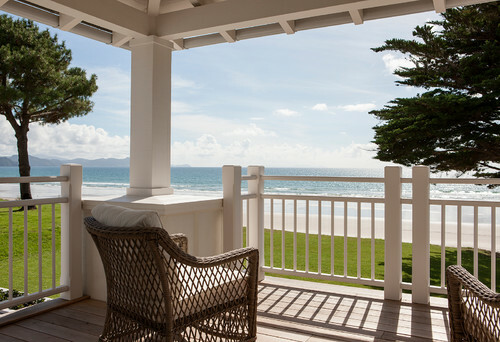 In fact the verandah facing the sea reminds me of the classic Kiwi villa. 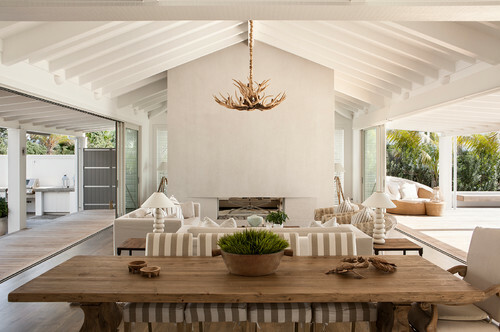 Simple, yet elegant architecture can add so much character to a home and the ceiling beams definitely contribute to this homes charm and relaxed personality. 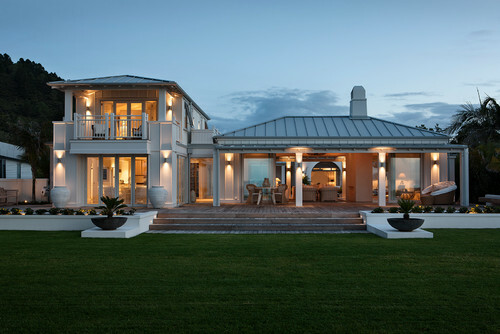 I am sure this home has wowed you as much as it has me, so if you want to see more work by Christian Anderson Architects, I have added a link above to their Houzz profile. Wherever you are in the world, I hope this beautiful home has inspired you. I for one found a few ideas for decorating a special space I hope to be revealing to you in July.